I'm still reading this one and enjoying it so far. 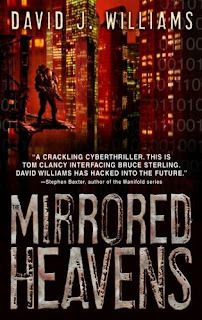 I read and reviewed this as well (https://andrewliptak.wordpress.com/2010/05/18/review-the-mirrored-heavens/), and pretty much came to the same conclusions - it's a very fun, fast paced book, but there's a lot of information in it, and I found myself having to read it must more slowly than I otherwise would have. Same with the sequel, which I'm reading now. It is a good read though. I liked The Burning Skies even better, but it's definitely much the same. So fast it's almost too fast, but I liked how it was different than anything I've read otherwise. I've heard tons of good things about this series. 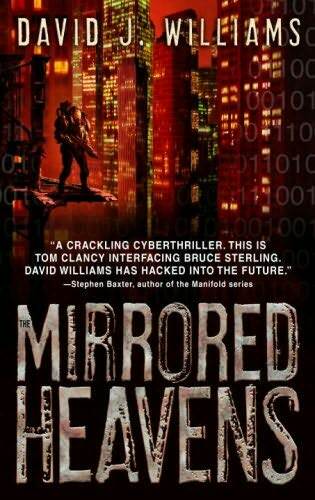 I don't read much sci/fi but all these great reviews are making me think its time I checked it out.